I feel as if the McCubbin image that graces the front cover of this book has been hanging in the corridor of every school I have ever attended. Just looking at it evokes for me the smell of squashed sandwiches and pencil cases. Likewise, the mere mention of the “Lost in the Bush” story in the primary school reader brings back memories of brave little Jane Duff, struggling with her brother to carry their baby brother through the ravines of the endless bush, tenderly covering him with her cotton dress at night. Of course, that’s the whole power of an image: just a glimpse or uttered word evokes a cascade of remembrances and associations. And as the title of this book suggests, the lost child in the bush is a particularly durable and potent Australian image. But as Kim Torney explains, the image of children lost in the forest has an older, European parentage, best exemplified by the ‘Babes in the Wood’ and ‘Hansel and Gretel’ legends. However, this older tradition took on a new form during the 18th and 19th century, magnified by the fear of the frontier in settler societies, even though many, many more children died through drowning than through being lost. There is an oft-repeated trajectory to the Australian ‘lost in the bush’ narrative: independent children living in rural settings, often in the care of a lone parent set off, sometimes on an errand, sometimes in play. The parent suddenly becomes aware of their absence and desperately searches the immediate, familiar surrounds; the call goes out to neighbours who rally round; the search is unsuccessful; they call in the ‘black trackers’ who are able to detect a trail; the child is found – sometimes alive, sometimes not. Even though there was a frontier in all settler societies, it was only in Australia that the ‘lost child’ trope developed as a unique symbol of the Australian colonial experience. Children of course became lost in the Canadian forests, the prairie, in the bush of New Zealand, but in other countries the image did not move beyond a local story to become a national image. In other settler colonies there was the fear that the child had been abducted by an indigenous tribe, and indeed that was sometimes the case, particularly in North America. It was an oft-expressed fear in Australia as well, but Torney was not able to find a single, well-documented case where Aboriginal tribes stole a white child (although the reverse was too often true). The Australian fear that children could be abducted had its parallel in the captivity narrative for women that was so clearly demonstrated in the White Woman of Gippsland story (an excellent radio program can be found here). But these captivity narratives, for both women and children, had no basis in fact. The second thread of Torney’s argument is that the image of the lost child in the bush became deeply embedded in natural cultural memory through stories and commemorations. She starts her story with Duff children – those children of the Fourth Book school reader between 1930-1960s, who are still commemorated by statue and roadside reserve today. She strips the story back to its original, often contradictory and cumulative sources, then follows its manipulation as a religious homily and then educative resource (especially for sisters of younger brothers). Its power as a commemorative event is still strong: in 1972 the Education Department produced an hour-long film, and the Jane Duff Highway Park was created in the 1980s. She returns to the original source material for a string of lost children stories, and explores in particular the ambivalence over the use of the expertise of ‘black trackers’ on both sides. The book is generously sprinkled with images, both at the time as the stories were taken up and often embroidered in local and metropolitan journals, and contemporary photographs of gravestones and memorials still existing that keep the story alive. She often cites Tom Griffiths’ book Hunters and Collectors that explores the commemorative impulse that was so strong at the turn of the 20th century, and it certainly seems that there was a strong Victorian (both geographically and chronologically) impulse to memorialize these children. The book makes no secret of its theoretical underpinnings and its roots in the historiography of settler colonialism, commemoration studies, and the cultural construction of national stories. The footnotes are brief (and, interestingly, numbered cumulatively over the book as a whole rather than recommencing with each chapter- a much better method! ), and are clearly tethered to a wide-ranging and useful bibliography. Torney gives her readers a full description of each of the stories she explores, supplemented with images, so that you’re not left feeling short-changed and wondering if you have to follow it up further. I did find myself wishing for a map at times. She opened her book with the Duff children in the 1860s, and closes it with another lost child a hundred years later: Stephen Walls who disappeared in February 1960 near Guyra in northern NSW. I must admit that I had forgotten- or did I ever know?- about Stephen Walls. I was five at the time and probably shielded from such things: by the time the Beaumont children disappeared in 1966 I would have been able to read about it in the papers for myself. Stephen Wall was lost for four days and three nights; over three thousand people joined the search for him, and he was found safe. Johnny Ashcroft released a song about him, and a film was later made. Torney finishes her book by suggesting that there is a timelessness about the image of the child lost in the Australian bush. In 2001 two young girls wandered away from a farm in central Victoria in mid-winter, and all the machinery of the lost-child image came into operation again: the distraught father, the dog squad, the volunteer searchers, the girls found huddled under a log the next day. In so many respects- searchers both on foot and mounted, the dogs, the children using a log for shelter- this account could have come from any time in the history of European settlement of Australia. Once again, it demonstrates that this is a timeless image, as current today as it was two hundred years ago. The image might be timeless, but I think that the reality has changed. A couple of weeks ago the evening news carried a report of the discovery of a dehydrated, very ill 18 year old boy who had spent 9 weeks in the bush: he was older; there was some medical issue involved, and one suspects that he intentionally evaded searchers- not quite a ‘lost in the bush’ image. Or Azaria Chamberlain, (whom Torney does mention) quite literally a babe in the bush (well… desert)- obviously taken, not lost. While children may continue to get lost, as the 2001 example shows, it seems that many of the searches for lost children too sadly end up as crime scenes – a suspicion which does not appear to have been raised in these older ‘lost child’ narratives. The parents of lost children in the past were generally held to be blameless, which would certainly not be the case today. I wonder if the lost child image, powerful and evocative as it is, has been overlain by an uglier reality and judgmentalism that makes it seem part of an older, more simple Australia that is long past. But that’s the power of an image: it evokes, it hints, it is not necessarily grounded in current reality, and it is almost never as straightforward as it seems. 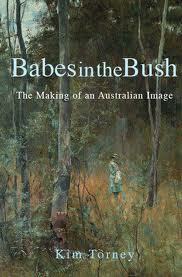 I have reviewed this book as part of the Australian Women Writers Challenge 2013. 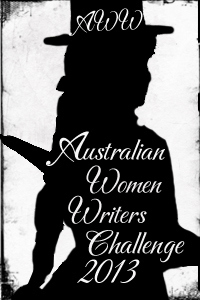 This entry was posted in Australian history, Australian Women Writers Challenge 2013, Book reviews, Settler colonialism. Bookmark the permalink. Just catching up… Not being raised in Australia I had to google ‘Jane Duff”. Fascinating how the story developed and was embellished. And interesting, the way that discourses change; you’re right about more recent ‘lost’ stories. But the story I wanted to tell was about Northern European myths of being lost. We took a ferry from Helsinki to Stockholm last year, and we travelled up the archipelago to Stockholm in the early morning – it was dark at the beginning of this last part of the trip. And we really understood for the first time the significance of all those mythical stories of the light glimmering through the forest, guiding the traveller to safety. Most of the islands had at least one light that we could see, on a house, and even the smallest islands were covered in thick bush. The light would be a life-saver for a traveller, especially if it was snowing, in the days before proper roads. And when we got to Stockholm we realised that houses and apartments have a light set in every window. It’s like a memory of those days when a lighted window could mean the difference between life and death. What a fantastic story- I feel a little ‘glow’ just reading it. It’s really embedded into everyday life, isn’t it.